What’s New in the All New Go iPave? 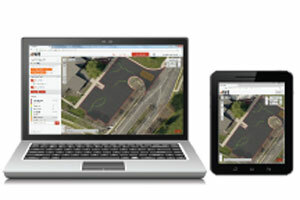 Thousands of Asphalt Professionals use Go iPave to measure commercial and residential properties for job estimates every day. Our users love the accuracy of our measuring tools, and of course our high resolution aerial photos. And the good news is, these items are the foundation for New Go iPave too. But New Go iPave offers greater flexibility, a modern look and feel, and a friendlier approach to saving and accessing your previous work. Measure Properties on any device, anywhere: Mobile access allows you to to measure on the go from your smart phone or tablet. Easily access your previous work: Cloud storage keeps your past projects handy and accessible for you, every time you log in. View, Edit & Measure Past Work for No Additional Charge: A monthly subscription keeps your past work stored and your searches up to date.